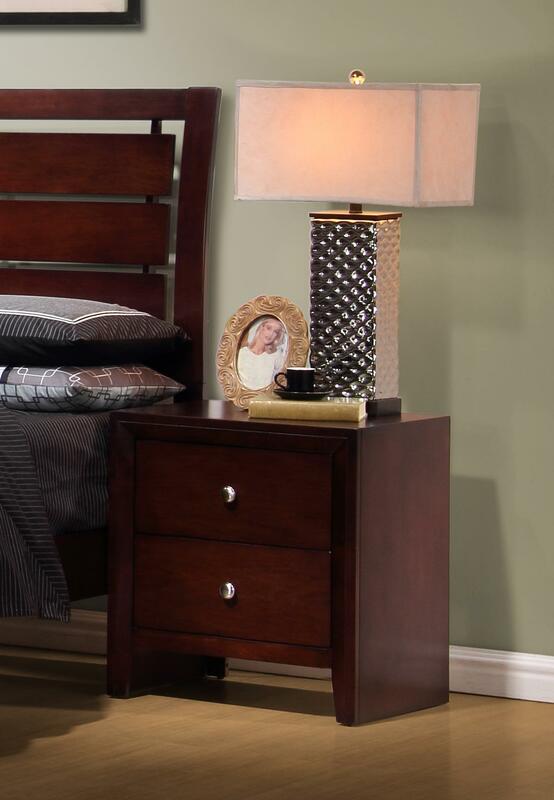 The Serenity Night Stand offers a unique transitional style with a contemporary flair. 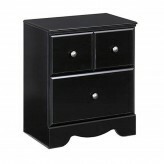 Constructed with english dove-tail drawers and metal on metal drawer glides. 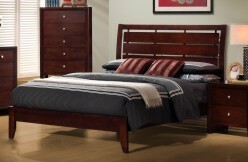 The rich merlot finish combined with the brushed nickel hardware creates the perfect cohesive blend of style. 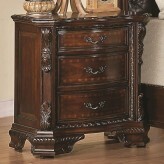 Furniture Nation is proud to offer the Serenity Night Stand online. 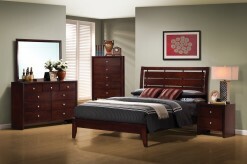 We serve customers across the DFW region including Arlington, Weatherford, Keller and many more. L22.25" x D16.5" x H23.75"